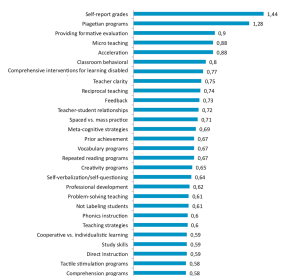 A tweet was directed at me about class size and I immediately turned to the Hattie Ranking This visual brings together some of the best educational research in a way that helps me look at instructional practice in classrooms. I know this is not the end all in educational research and more work needs to be done, but this is a good way to start the conversation about change in the classroom. I would like to see more research about the appropriate use of technology as it relates to some of the topics on the top half of the scale. 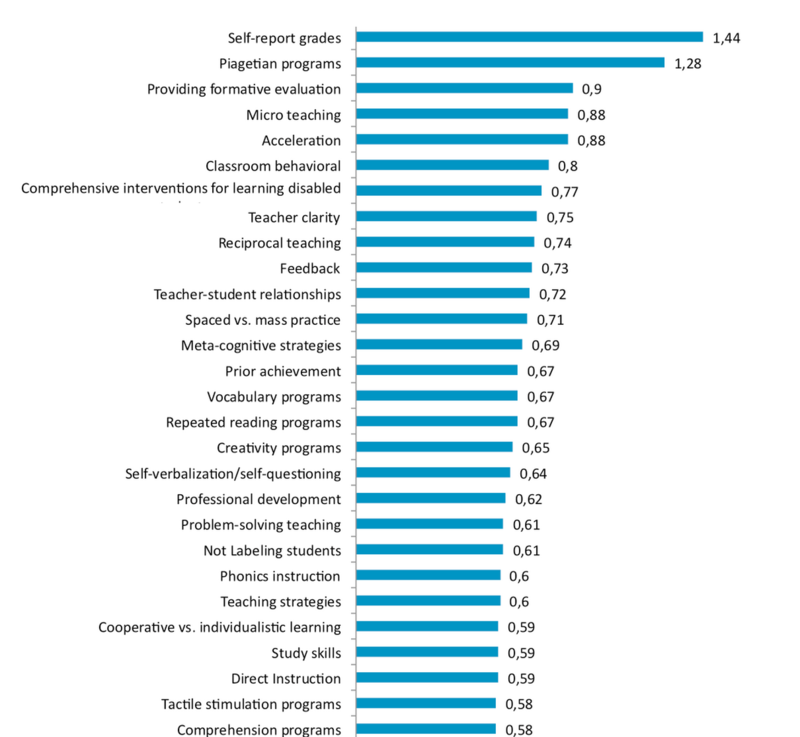 I also need to dig into the visible-learning.org website to again try and make sense of Piagetian programs. I believe I have reread that section ten times, but I still could not explain it! Back to the question of class size, I was surprised to find it at 0.22 far below the “hinge-point” of 4.0. I know class size is a hot button issue in many schools, but if more energy was focused on the top of the scale, maybe the class size question would not be as important. Just my thoughts for today!